Charter schools are often mistaken to be the same as private schools. Like private schools, charter schools are independently run, but like public schools, they are publicly funded. In exchange for exemption from many of the regulations that apply to public schools, charter schools are bound to a contract or a charter. Their contract is authorized by an authorizing body such as a state agency, university, and school district. In many ways, charter schools are similar to private schools like Balboa School. The classes at private schools and charter schools are much smaller than in public schools. In order to foster greater growth, our students are taught in small class sizes, where teachers are able to give personal attention to the needs of each student. The average teacher to student ratio at Balboa School is 1:10. With less students to teach, our faculty is able to spend more time with students and this makes it easier for students should they want to reach out to their teachers. 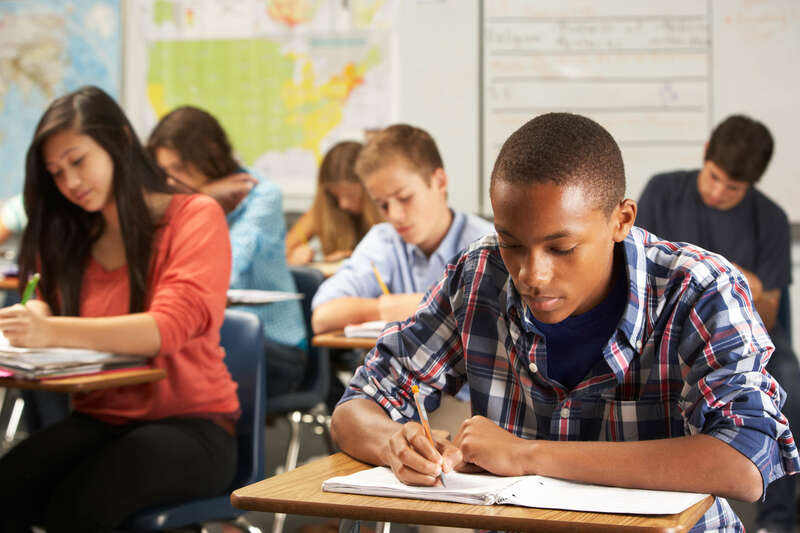 Studies have shown that private school and charter school students tend to fare better than their public school counterparts in standardized test scores. In both charter schools and private schools, teachers are not required to be certified. One may argue that it is better to attend public schools because public school teachers are required to attain or to be working towards teaching certification. At Balboa School, we believe that candidates with degrees in their subject area of teaching have the advanced knowledge necessary to help students succeed. All Balboa School teachers are qualified professionals who are dedicated to the academic and emotional growth of our students. Although they have many similarities to private schools, charter schools are still bound to more regulations and terms. As a private school, we are not bound to any contract to an authorizer. We have flexible curricula. As a result, we are able to rethink education and mold our curriculum to better fit our students’ growth. We believe that every student is unique, each requiring a different pace and thriving in different learning methods. At Balboa School, we integrate learning with classroom activities. We strive to create positive learning experiences that encourage students to actively engage with the curriculum and work towards mastery of academic goals. Students at Balboa School are challenged while being provided with the guiding support necessary for high achievement. At the end of the day, it is best for you to visit schools and see what the teachers and staff are like. Be sure to ask them plenty of questions to get to know the school better. Please contact us at 760-294-4490 or email info@nullbalboaschool.com for more information, or to schedule a tour of our campus in North County Escondido, California. We’re excited to meet you! For information about employment opportunities, please email: ncaddleson@nullbalboaschool.com. The 2019 Best Private Schools in San Diego have just been announced by Niche, and we’re proud to announce that Balboa School has been ranked as one of the top 10 private schools in San Diego. Niche is a website that helps connect people to schools, neighborhoods, and workplaces that best suit their needs. The San Diego private school rankings were calculated by analyzing public data sets and taking into consideration several factors including state-level test scores, student-teacher ratio, and millions of reviews. Balboa School is one the best private schools in San Diego. 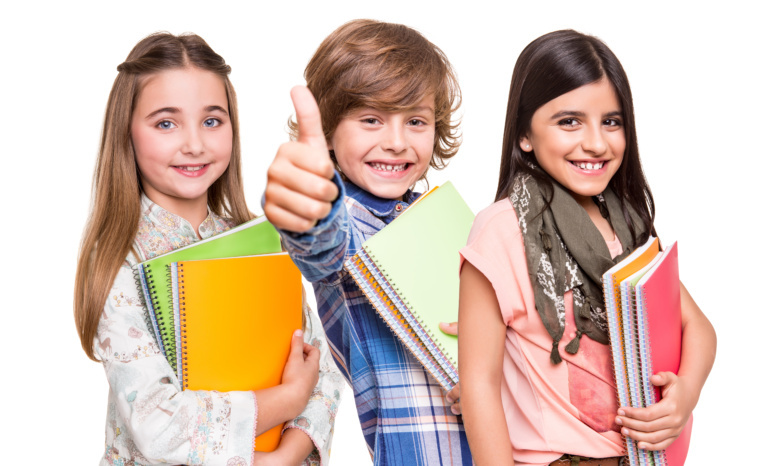 We are a K-12 school, providing accredited education programs from Kindergarten to Grade 12. We strive to create positive learning experiences that encourage students to actively engage with the curriculum and work towards mastery of academic goals. We know that each student is unique. It has been our experience that given the right motivation and environment, each student can achieve academic success well beyond traditional expectations. In order to foster greater growth, our students are taught in small class sizes, where teachers will be able to give personal attention to the needs of each student. Students will also be fully engaged in learning activities in the classroom. Balboa School offers multiple art and music classes to bring out the creativity in every student. Through the study of fine arts, our students will also cultivate diligence, patience, and better self-expression. Being in close proximity to the California Center for the Arts, our students are given many opportunities to showcase their talent and hard work through performances and art workshops. In order to prepare students to be successful in a global society, technology is integrated into our core curriculum. We offer accredited STEM classes, including coding/programming, and we have a dedicated Robotics Club to engage students in a more hands-on experience. Students have the opportunity to engage in virtual science labs through the adoption of Discovery Techbooks for all science courses. At Balboa School, we believe in providing a holistic education for our students. Through our athletic programs, we train our students to be team-oriented athletes while teaching them the values of a modern education, such as hard work, self-discipline, teamwork, and time management. Balboa School is NCAA-certified, allowing all student athletes the opportunity to receive athletic scholarships. Balboa School is a fully accredited private school in San Diego that has been teaching students from across the county, including GATE and gifted students, for over twenty years. Students at Balboa School are challenged while being provided with the guiding support necessary for high achievement. We are accredited by the Western Association of Schools and Colleges (WASC) and AdvancED, the world’s largest education organization. We are honored to be recognized by Niche and, especially, the families who have taken the time to submit their personal and sincere reviews of Balboa School. However, we believe that rankings don’t explain how special and amazing the Balboa School community really is. We invite you to come and see for yourself! The debate between private versus public school has been going on for ages. It seems that each type has its own benefits and drawbacks. While that is true when comparing most private and public schools, Balboa School is a private school without the drawbacks found in other private schools. As a private school, we are not required to follow the same regulations as public schools, as we have flexible curricula. As a result, we are able to rethink education and mold our curriculum to better fit our students’ growth. We believe that every student is unique, each requiring a different pace and thriving in different learning methods. Unlike in public schools, the classes at private schools are much smaller. In order to foster greater growth, our students are taught in small class sizes, where teachers are able to give personal attention to the needs of each student. The average teacher to student ratio at Balboa School is 1:10. With less students to teach, our faculty is able to spend more time with students and this makes it easier for students should they want to reach out to their teachers. Studies have shown that private school students tend to fare better than their public school counterparts in standardized test scores. One may argue that it is better to attend public schools because public school teachers are required to attain or to be working towards teaching certification. At Balboa School, we believe that candidates with degrees in their subject area of teaching have the advanced knowledge necessary to help students succeed. All Balboa School teachers are qualified, professionals who are dedicated to the academic and emotional growth of our students. Balboa School is one the best private schools in San Diego. We are a K-12 school, providing accredited education programs from Kindergarten to Grade 12. Rules, expectations, and lessons are well communicated to students and parents. We strive to create positive learning experiences that encourage students to actively engage with the curriculum and work towards mastery of academic goals. 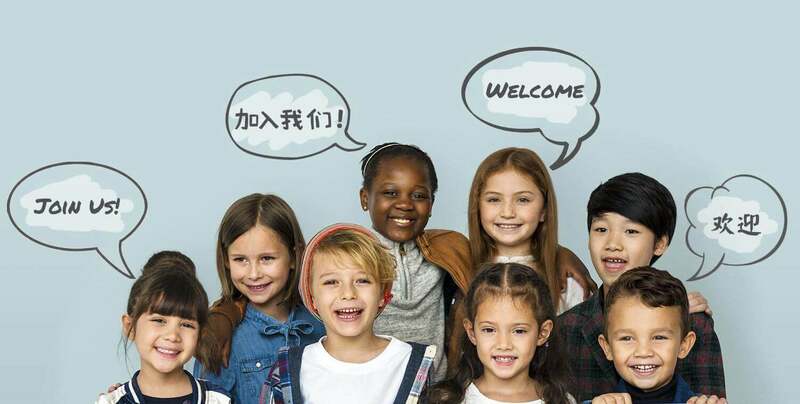 Balboa School is one of the first private elementary schools in San Diego to launch a program designed for optimal achievement in both Mandarin and English languages. Students can achieve sophisticated language development through direct instruction, engaging classroom activities, and songs, in a caring environment with active student involvement and participation. Classroom instruction is evenly divided between two high-quality teachers following the 50/50 English/Mandarin model. The English-speaking teacher uses half of the instruction day to teach English language arts curriculum. The Chinese-speaking teacher uses the other half to teach Chinese language arts, including reading, speaking, writing and listening, while integrating elements of Chinese literature and culture. Both teachers will also teach core subjects such as math, social studies, science, and other topics from the California Core Curriculum. Students will conduct hands-on activities in fundamental science and engineering, along with reading, writing, and literature. At our private elementary school, you will be amazed at how quickly your child becomes a comfortable and competent Mandarin speaker! Math skills: Studies indicate that learning Mandarin can help children acquire early math skills. In particular, students learn both basic number concepts and calculation skills (e.g., addition, subtraction, etc.). At Balboa School, students can accelerate their math skills as they learn using Singapore Math®. Learning music: Mandarin is a tonal language that can naturally help with music abilities. Exposing them to musical tones as young children, can help them learn and develop music skills faster than others. In fact, studies show that learning a tonal language helps kids to better perceive pitch. Cognitive development: Studying Mandarin opens pathways in the brain which can help improve a wide range of intellectual and academic skills, such as logical reasoning, reading comprehension, and focus. Studying Mandarin stimulates different parts of the brain because it is very different than English in sound, tone, and script. A recent UK study indicated that Mandarin learners use both parts of the brain, unlike English, which focuses on the temporal lobe. Cultural literacy: Learning a new language exposes students to new cultures. 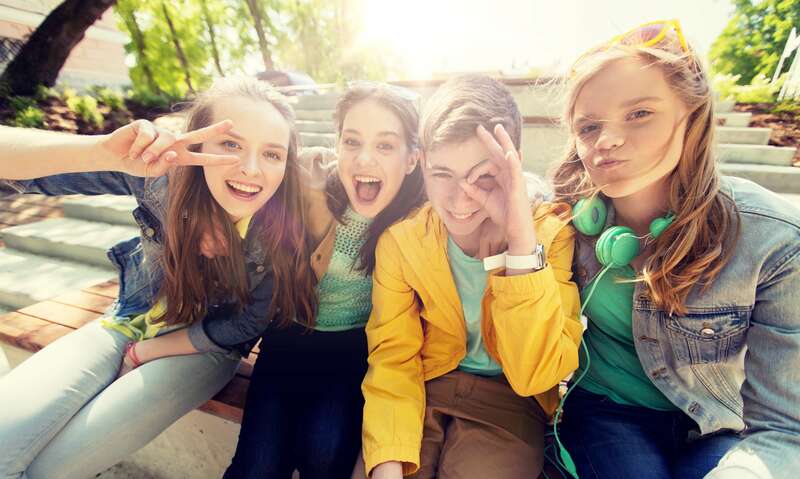 As we become a more global society, students can use their cultural literacy to teach tolerance and help others recognize the importance of treating other cultures equally and fairly. Balboa School is excited to announce the opening of our dual-curriculum elementary school! 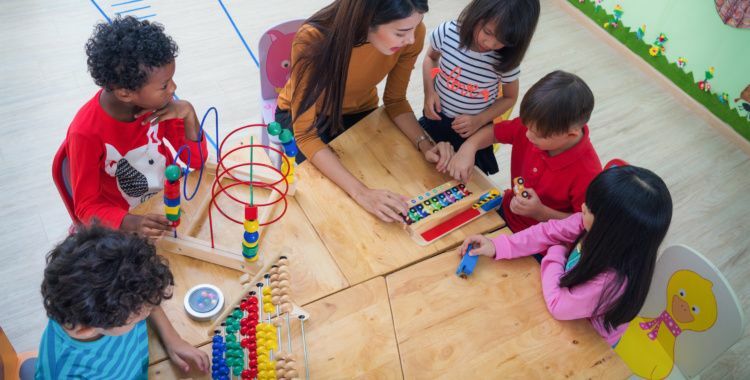 The program is designed for optimal achievement in Mandarin and English languages, where students can achieve sophisticated language development through direct instruction, engaging classroom activities, and songs, in a caring environment with active student involvement and participation. We are located just half an hour away from the beautiful city of Carlsbad. Classroom instruction in our elementary school is evenly divided between two high quality teachers following the 50/50 English/Mandarin model. The English-speaking teacher uses half of the instruction day to teach English language arts curriculum. The Chinese-speaking teacher uses the other half of the day to teach Chinese language arts, including reading, speaking, writing and listening, while integrating elements of Chinese literature and culture. Both teachers teach core subjects such as math, social studies, science, and other topics from the California Core Curriculum. Students will conduct hands-on activities in fundamental science and engineering, along with reading, writing, and literature. You will be amazed at how quickly your child becomes a comfortable and competent Mandarin speaker! Balboa School is a fully accredited private school that has been teaching students from across the county, including GATE and gifted students, for over twenty years. We are located half an hour away from Carlsbad. Our elementary school students at Balboa School are challenged while being provided the guiding support necessary for high achievement. We are accredited by the Western Association of Schools and Colleges (WASC) and AdvancED, the world’s largest education organization. Balboa School is excited to announce the opening of our dual-curriculum elementary school! The program is designed for optimal achievement in Mandarin and English languages, where students can achieve sophisticated language development through direct instruction, engaging classroom activities, and songs, in a caring environment with active student involvement and participation. Classroom instruction is evenly divided between two high quality classroom teachers following the 50/50 English/Mandarin model. The English-speaking teacher uses half of the instruction day to teach English language arts curriculum. The Chinese-speaking teacher uses the other half of the day to teach Chinese language arts, including reading, speaking, writing and listening, while integrating elements of Chinese literature and culture. Both teachers teach core subjects such as math, social studies, science, and other topics from the California Core Curriculum. Balboa School is a fully accredited private school that has been teaching students from across the county, including GATE and gifted students, for over twenty years. Students at Balboa School are challenged while being provided the guiding support necessary for high achievement. We are accredited by the Western Association of Schools and Colleges (WASC) and AdvancED, the world’s largest education organization. It is important to teach elementary students that we never stop learning. Balboa School is proud to give our future leaders the right program and environment to excel. Our private elementary program prepares them for the next step by teaching fundamental knowledge, learning habits, and critical thinking skills to produce hard working individuals. With a population of more than a million in San Diego, we are making sure we impact the future of our local residents in a positive way by providing the best education. We do this by designing an elementary program elementary program that fosters development through hands-on activities and student involvement in the science and language courses. Our campus also provides low stress classrooms. We keep class sizes small to ensure that students can learn more effectively through direct instruction, peer interaction, and classroom discussions. This also allows us to tailor our program to better meet the needs of each student. We introduce our elementary school students to daily computer exercises for essential word processing and computer skills in our ever-growing high tech reality. We believe being adaptive at an earlier age will help students in the long run when they are familiar with technology. 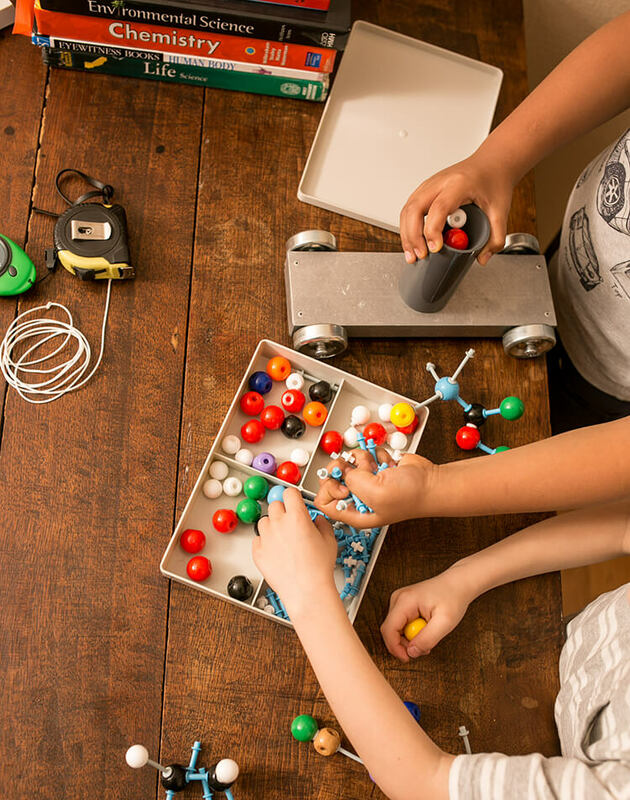 At our Balboa School Elementary Program, we introduce students to hands-on activities in fundamental science and engineering, along with reading, writing, and literature. Our school will be engaging to students as much as it is for our teachers who love to make a difference in a school setting. Teachers challenge and support every learner until they master the content. We strive to ensure that students will learn to work at or above grade level in most academic classes. Balboa School is one of the top private schools in Escondido. This is a modern school with a sophisticated and positive educational philosophy. Our teachers are top-notch and dedicated to their field, which makes learning transparent and effective. They continuously engage and always challenge students to do their best. They focus teaching and nurture students to become smart, confident leaders, and excel academically. The staff is supportive and caring to all students. 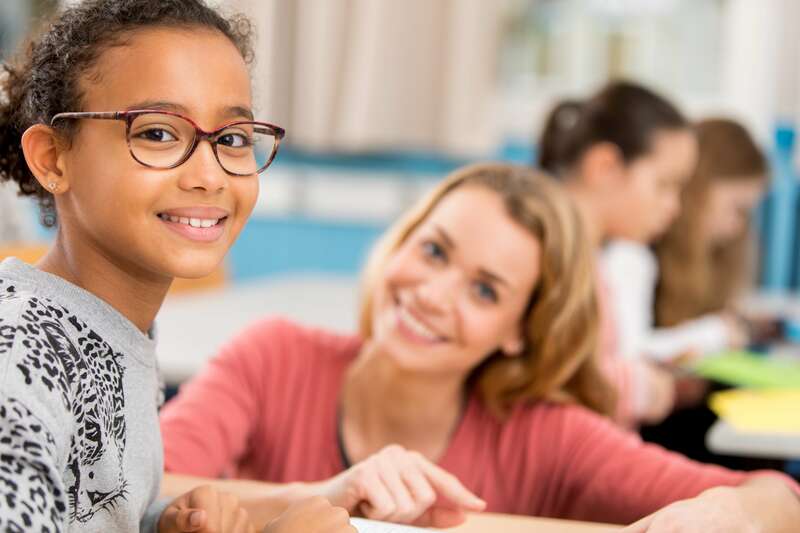 They have a low-student to teacher ratio, which makes discussions received from students effectively, and worthwhile for teachers to really focus on how their students are progressing. It’s no wonder most students prefer smaller classes, as this helps them to learn and earn good grades. Another integral part of our learning culture is our athletic programs and sports teams on campus. We promote our students to exercise the body and the mind. Our students can also join in their chosen school organization or a school club (the options are growing!). We have a new facility and use top of the line Apple computers for each of our students, which will give our student’s an advantage of the familiarization of technology is they develop throughout their school career. Another important attribute to note is that our curriculum rigorously manages to prepare students for standardized examination. Our school ensures that there is adequate support for all our student’s success. For information about employment opportunities at Balboa School, please email: ncaddleson@nullbalboaschool.com. Balboa School welcomes the newest members of the campus at their student orientation, The first day of school starts on August 15, 2018. 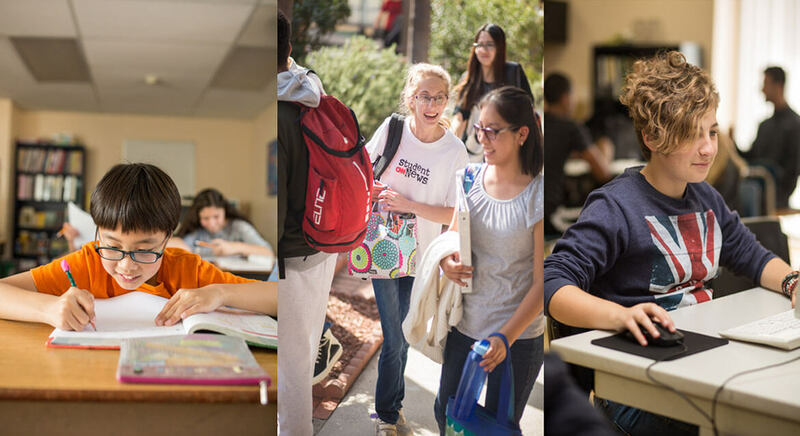 Balboa School offers a broad array of programs within an international student community in one of the most enriching areas of Southern California. Small class size, one-to-one communication, interesting and exciting learning opportunities that stimulate passion and the desire to learn. Fully engaged students are happier and look forward to new and interesting learning experiences every day here at our school. Our teachers, course work, and SAT preparation develop the fullest potential in our students as they prepare for college and a life of learning in an ever-changing world. Students know our faculty in such a way that the sharing of ideas, working as a team for a common goal, and sophisticated conversation with peers becomes second nature. We teach within a framework of traditional values and evolved curriculum that provides students the individual attention needed to achieve personal goals while developing the academic skills and study skills necessary to succeed in college, career, and civic life. Our school goals for students is to achieve high academic standards, create work that demonstrates innovation and originality, cooperate in the classroom, and develop a sense of community. Balboa school is unique and emphasize strong educational programs that reflect the needs and interests of children and families. We are the cornerstone of the community that provide support and continuity for families. As always, we extend our invite to new students who want to join the Balboa School learning experience for the next upcoming school year. For Admission procedure please click Balboa School Admissions Application Procedure or simply contact the school for a tour and enrollment information.